What?! Yes, you can build better handwriting skills by coloring on the floor! I was just reminded of this by the Occupational Therapist at my school! A few of my students keep their hands and wrist off the table when writing which causes poor control of shapes and weak pencil lines. It seems so difficult to correct for some students! Can you see the difference between the two wrists in the picture above while pointing? We have to place our hand/wrist on the table for good pencil control, but many students can not do this! Lay on the floor, of course! 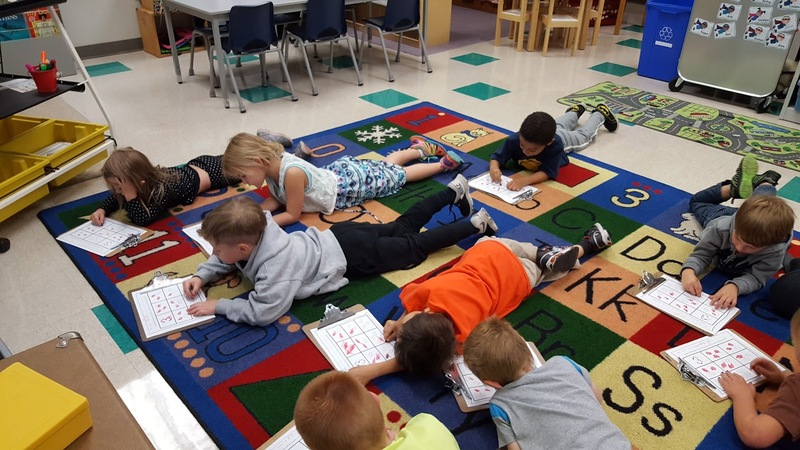 While working on our number sense "Spill the Bean" activity, we colored on the floor and sat up to spill the beans. There are so many opportunities to build this muscle strength by changing the position of the worker! Provide many opportunities for laying on the floor! Parents can also encourage this position during TV time. The child only sits up while the show plays and lays down during commercials or visa versa depending on the child's strength! If you have students falling off chairs, it may be because of this lack of strength! 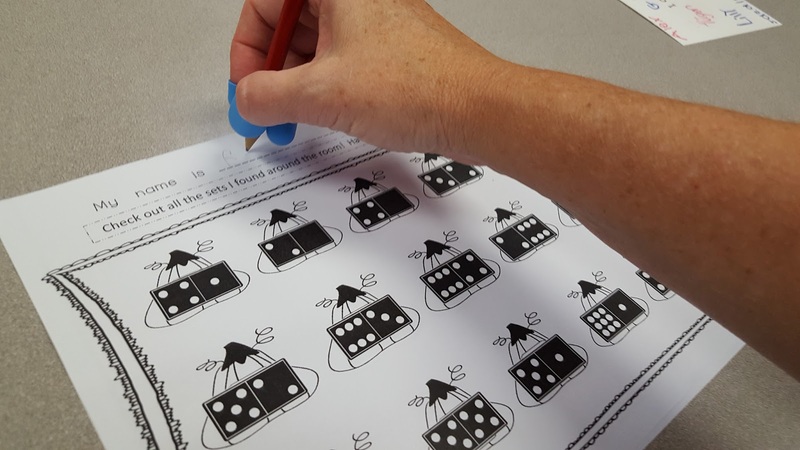 "Push up and Hold" can build the strength needed to write! 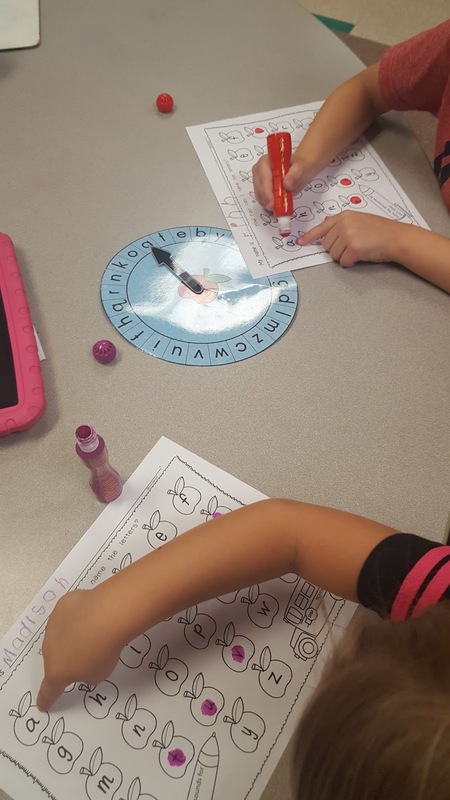 "Push up and Hold" is a fun game that can be used for any skill! We push up and hold from 1-10 and then rest from 11-20. 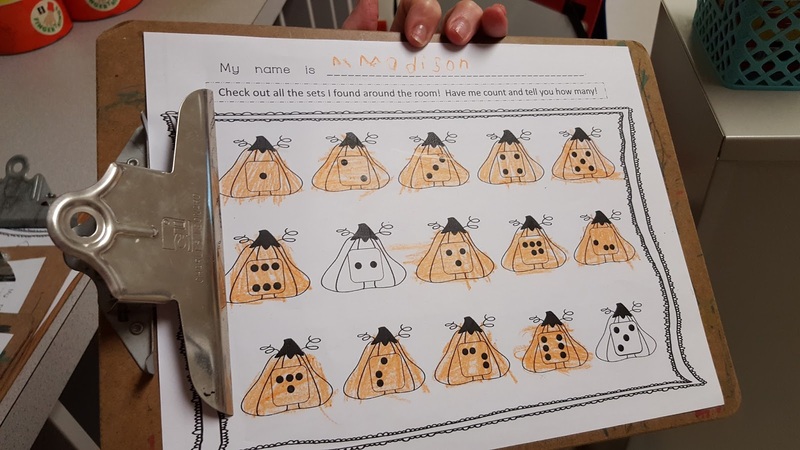 Once we can all count, we will practice "Push up and Hold" as we count to 100 by 5"s or 10's. It's the holding that counts, make a plank for older students! Think yoga and how much it hurts! :) It builds muscle core strength! 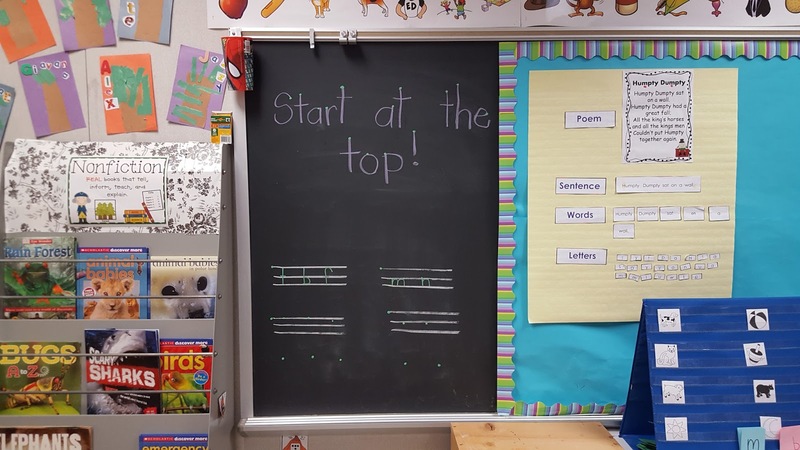 Use clip boards or small chalk boards and make the students hold them vertically to write. It should cause the wrist and arm to rest in the correct position. I'm so lucky to have a real chalk board in my room! It is a vertical plane which helps with building strength but it also has a rough surface that provides resistance which helps with memory! Be sure to build the muscle strength in the chest and arms to help with writing skills!